Following a banner week for what was once the new kid on the block, SpaceX has secured a coveted US Air Force launch contract in the same week the company announced a joint venture with NASA to send its Red Dragon human rated spacecraft to Mars in 2018 while also announcing new maximum performance margins for its flagship Falcon rockets. In a first for SpaceX, the company has won the first National Security Space (NSS) launch services competitively sourced contract for the launch of the GPS III satellite for the United States Air Force (USAF). According to USAF, SpaceX was awarded the contract for a firm-fixed price, standalone contract with a total value of $82.7 million (USD) for a launch of GPS III from the Cape Canaveral Air Force Station in May 2018. The contract won by SpaceX is the first of nine competitive launch services planned in the FY (Fiscal Year) 2016 President’s Budget Request under the current Phase 1A procurement strategy, which covers awards with FY 2015-2018 funding. 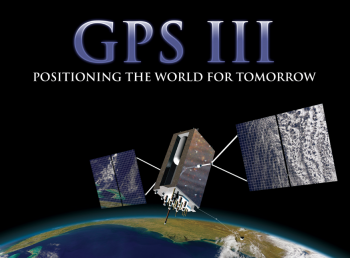 The next solicitation for launch services will be for a second GPS III satellite. This award to SpaceX not only marks a milestone for the private space firm but for the USAF as well, as the Air Force strives to reintroduce (through the Phase 1A procurement strategy) a competitive procurement environment into the Evolved Expendable Launch Vehicle (EELV) program following a monopoly on USAF launches by United Launch Alliance. This monopoly was the Phase 1 strategy, wherein ULA was the only certified launch provider. In 2013, ULA was awarded a sole-source contract for launch services as part of an Air Force block buy of 36 rocket cores that resulted in significant savings for the government through FY 2017. With the introduction of competitive source contracts, the USAF last year released a request for bids from the space industry and were quite vocal in their displeasure at ULA’s lack of a bid for this particular launch. While ULA stated that they did not submit a bid because of uncertainties regarding a US Congressional ban on the use of Russian-made engines on the company’s veteran Atlas V rocket, many within the Air Force and the space industry viewed the “failure to bid” as a snub to the Air Force (from which ULA has prospered from several lucrative agreements) and a bold comment from ULA regarding the commencement of competitive launch contract bidding. 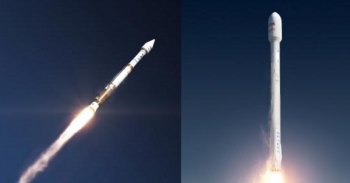 Still others stated that ULA was within its right, which the company was, not to submit a competitive bid for the GPS III launch contract seeing as they could not realistically compete with the low price bid that SpaceX could offer for their lower-cost Falcon 9 rocket ($82.7 million) over ULA’s higher priced Atlas V rocket (in excess of $164 million). Still, as the USAF states, SpaceX’s Falcon 9 was certified in May 2015 for EELV launches, resulting in two launch service providers capable of designing, producing, qualifying, and delivering launch capability and providing the mission assurance support required to deliver NSS satellites to orbit. 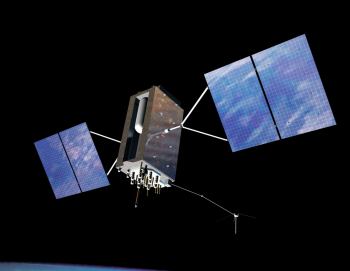 In all, the GPS III system is the next generation of GPS satellites that will introduce new capabilities to meet the higher demands of both military and civilian users. The satellite is expected to provide improved anti-jamming capabilities as well as improved accuracy for precision navigation and timing and will incorporate the common L1C signal, which is compatible with the European Space Agency’s Galileo global navigation satellite system and compliment current services with the addition of new civil and military signals. 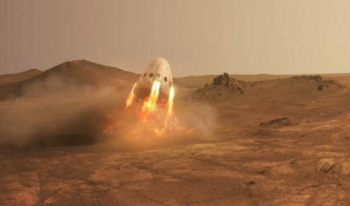 On the same day as the GPS III satellite contract announcement, SpaceX managed to outdo themselves and even overshadow themselves with the announcement that they had reached a tentative agreement to cooperate with NASA to send their Red Dragon human-rated capsule to Mars in 2018. The announcement came as a surprise to many and included information that Red Dragon would be launched aboard SpaceX’s Falcon Heavy rocket from the historic LC-39A launch pad at the Kennedy Space Center. While ambitious in nature and timeline, it should be noted that achieving a launch of the Falcon Heavy with Red Dragon in the April-May 2018 interplanetary launch window is not impossible. 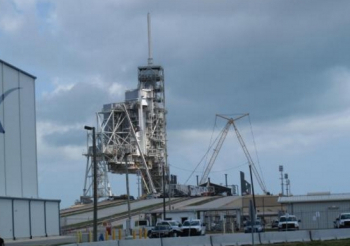 The announcement does, however, underscore the need to finish modifications and construction of LC-39A, get the pad operational, and launch the first Falcon Heavy demo flight this year, or very close to the end of this year. That demo flight, now slated to occur no earlier than November 2016, will be aided this month (planned) in what will be the first use of Pad A since Shuttle Atlantis departed on the final Space Shuttle mission on 8 July 2011. This use of Pad A will see SpaceX bring the Stage 1 (S1) core of the Falcon 9 23 (F9-23) rocket (known as F9-0023-S1), which lofted the CRS-8 resupply mission to the Space Station on 8 April 2016, up to the pad for a series of post-flight recovery engine firings. These engine firings, understood to currently involve a 2-second test fire followed by data collection, then another 2-second test fire followed by data collection, and then a series short-duration engine firings (which could involve only firing three-engines instead of all nine) will serve a dual purpose. First, the engine firings will allow SpaceX to better understand the condition of F9-0023-S1 following its landing and recovery on the ASDS barge in the Atlantic and better understand the refurbishment process that will be needed, along with the cost of refurbishment, to a Falcon 9 first stage for potential reuse on a later mission. Secondly, and more importantly for Falcon Heavy, these test firings will ensure that all of the construction and refitting operations at LC-39A are ready to support active launch operations of the Falcon Heavy. Given that these test firings of F9-0023-S1 will occur in May and the demo flight of Falcon Heavy is scheduled for November, any issues noted with the pad that require fixing before the first Falcon Heavy flight should be able to be completed prior to the November test flight. But it wasn’t just the Air Force contract and the announcement of a Red Dragon uncrewed mission to Mars in 2018 that SpaceX announced last week. 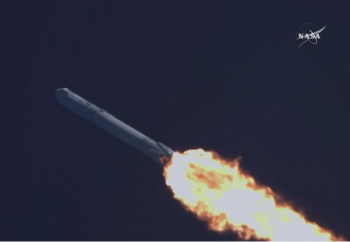 Following those two announcements, the company officially released updated fixed pricing payment plans as well as updated maximum performance capability for the Falcon 9 in the Falcon Heavy variants. Prior to the end of week announcement on performance, it was previously understood that the Falcon 9 v1.1 was capable of lifting 13,150 kg (28,991 lbs) to Low Earth Orbit (LEO). Similarly, according to the company’s website prior to the update, the Falcon 9 v1.1 was capable of lifting 4,850 kg (10,692 lbs) to Geostationary Transfer Orbit (GTO). 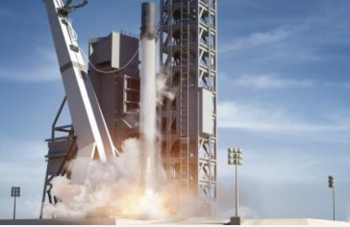 This maximum performance lift capability matched those of the Falcon 9 v1.1 released in July 2013 by SpaceX, back when a flight on the Falcon 9 could be achieved for the low fixed price of $54 million (USD). Now, following the most recent update, a standard payment plan for a 2018 launch on the Falcon 9 variant will cost a customer $62 million USD with an increased performance capacity of 22,800 kg (50,264 lbs) to LEO and 8,300 kg (18,300 lbs) to GTO. Moreover, the company finally released estimates for the Falcon 9 in terms of its payload capacity for an interplanetary flight to Mars, with the Falcon 9 capable of delivering a 4,020 kg (8,860 lbs) payload to the Red Planet. Also released late last week in the new round of estimates were the fixed pricing points and maximum performance capabilities for the Falcon Heavy variant. In total, SpaceX now says that a flight of the Falcon Heavy will cost a customer $90 million USD and will be able to deliver 54,400 kg (119,930 lbs) to LEO and 22,200 kg (48,940 lbs) to GTO. 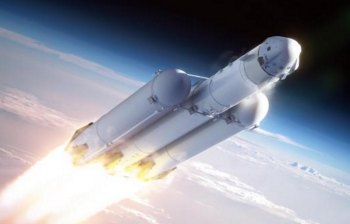 Finally, according to SpaceX, a Falcon Heavy will be able to deliver a 13,600 kg (29,980 lb) payload to Mars.